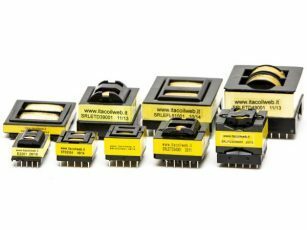 LLC Integrated Resonant transformers, available a wide range of standard products, always on stock, that meets the most common requirements. Custom products, developed in a few days upon the customer’s specific requirements, ensure the best performances in terms of efficiency, cost and dimensions. In the last decade our company has stood out for achieving the best results, becoming technological leader of the market, as also evidenced by our demoboard optimizations shown on our website and available here. The optimized definition of a tank and its transformer usually requires more calculation and test iterations, also due to the constraints of correlation between the transformer’s physical structure and the obtainable inductance parameters. Our LLC or LCC design service bypasses these issues and, above all, allows to generate feasible and consistent designs, both relating ZVS subsistence and optimization of losses, with great benefits for the outflow of design resources and time to market. The resonant topology allows SMPS design with excellent performances in terms of efficiency and EMI/EMC noise emission. 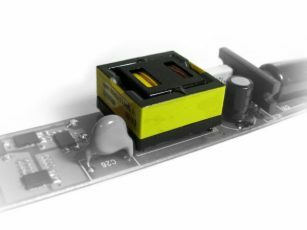 Moreover, unlike the classic flyback, it is particularly suited for supporting a temporary power even much higher than nominal power. Visit this page for further details on the benefits and drawbacks of this topology.